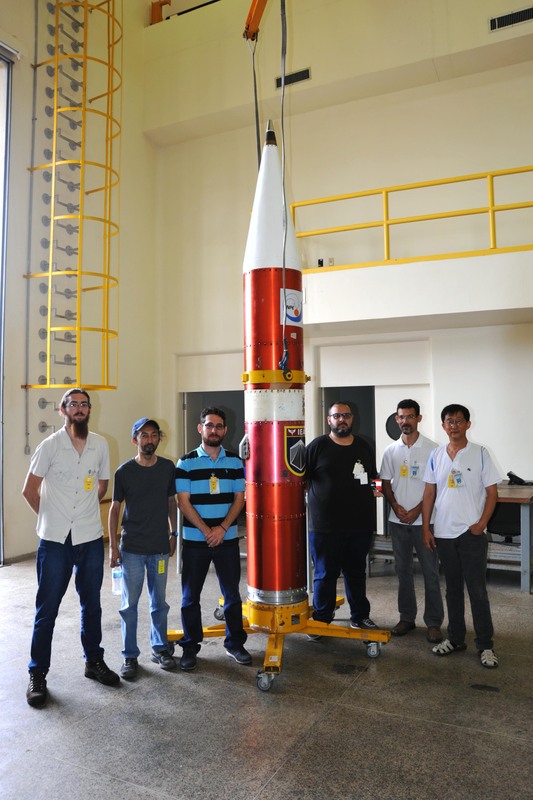 The staff of the China-Brazil Joint Laboratory for Space Weather (CBJLSW) participated in a sounding rocket experiment carried out in Brazil, as part of the group responsible by a Langmuir probe for ionospheric measurements taken aboard a vehicle launched from the Alcantara Launch Center, Brazil, on Dec. 09, 2018, at 13:43 LT (GMT-3). According to Dr. Siomel Savio, postdoctoral fellow in the CBJLSW and co-P.I of the aeronomic experiment, the scientific payload reaching a apogee of 124 km is a result of continuous improvement of the sensor characteristics for the diagnosis of the equatorial ionosphere adopted in previous missions using sounding rockets as a platform with unique features that allows in situ measurements in an altitude range completely inaccessible to balloons and satellites. It is expected that the current configuration of the Langmuir probe will provide a more reliable determination of physical parameters, such as the numerical density of electrons and electron temperature in the proximity of the E-region. The collected data represent an essential need to confirm the geophysical nature of some anomalies that have been observed in the equatorial region of different longitudinal sectors. The CBJLSW also took part in the coordination of simultaneous measurements with ground-based instruments for real-time monitoring of the ionospheric and meteorological conditions over the launch site, counting with the instrumental support of the Alcantara Launch Center, the State University of Maranhao, the Brazilian Space Weather Study and Monitoring Program (EMBRACE/INPE), the University of Texas at Dallas, and the AMBER network. The scientific group responsible for the experiments and the payload segment of the rocket [Photo: IAE]. Langmuir probe sensor installed in the rocket nose [Photo: S. Savio]. 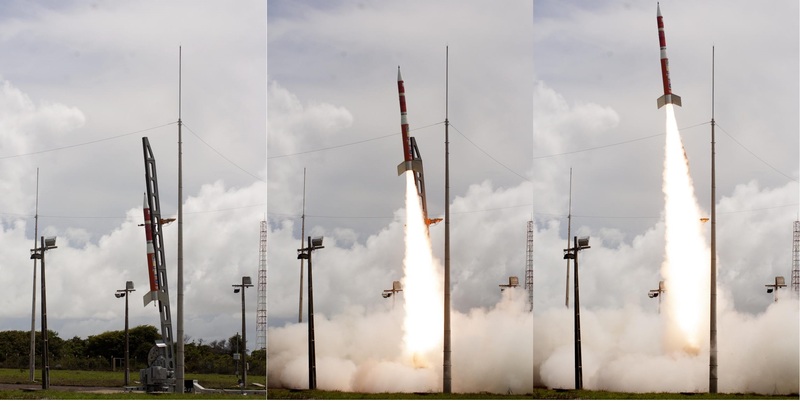 Launching sequence of the sounding rocket that fulfilled one of its missions for taking measurements of the daytime ionosphere [Photo: IAE].